A luscious shade of cabernet is the backdrop for a stunning contemporary floral design, reversing to a soft cotton. 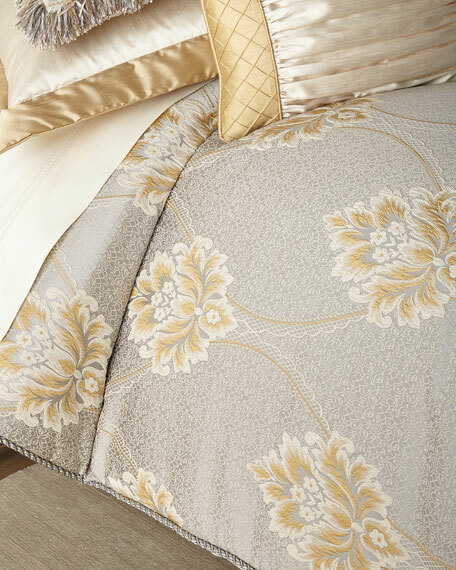 Set includes one 110" x 97" comforter and two standard 20" x 36" shams. 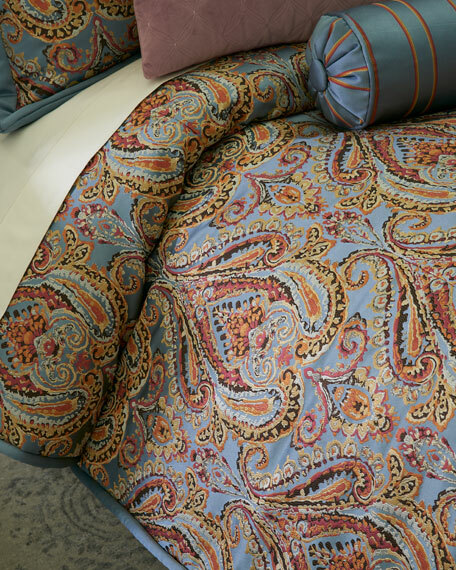 Set includes one 92" x 96" comforter and two 20" x 26" standard shams. Highline Gabrielle European Sham, 26"Sq. A beautifully constructed wave pattern created by heat set and stitched pleats. 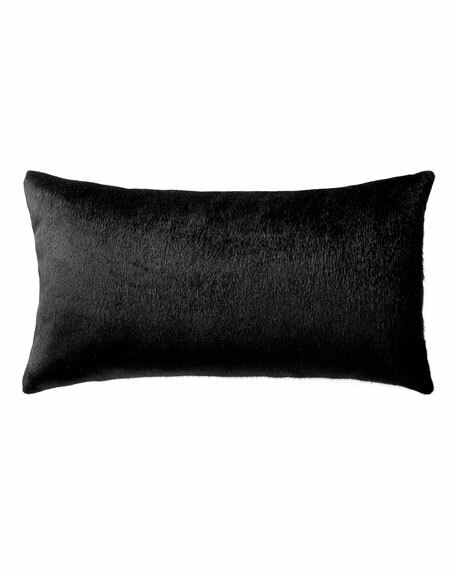 Highline Gabriella Decorative Pillow, 11" x 20"
Faux pony hair (polyester) pillow. 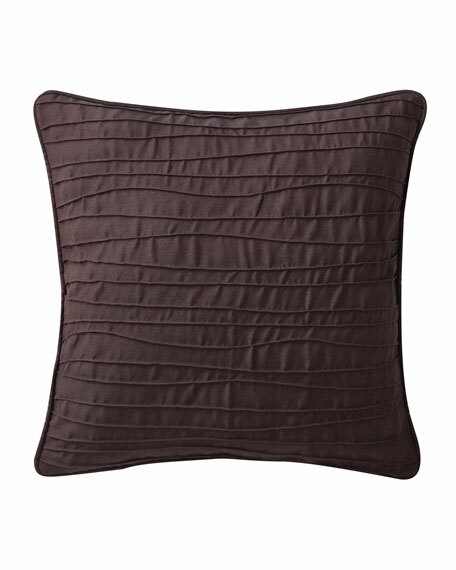 Highline Gabriella Decorative Pillow, 16"Sq. 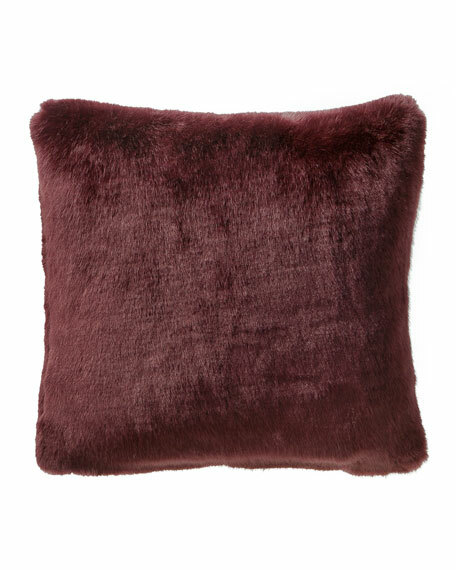 A luxurious and soft faux fur (modacrylic/polyester) pillow. 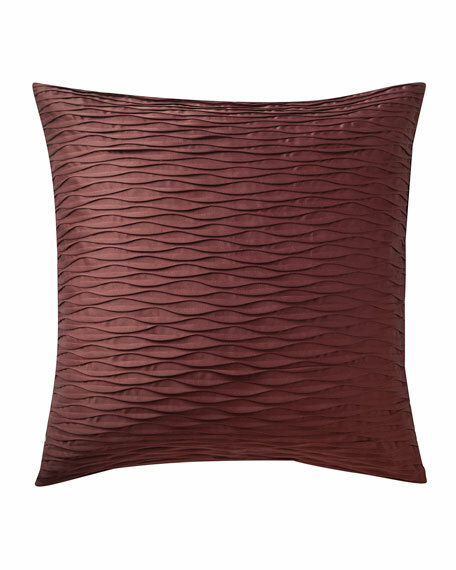 Highline Gabriella Decorative Pillow, 14"Sq. 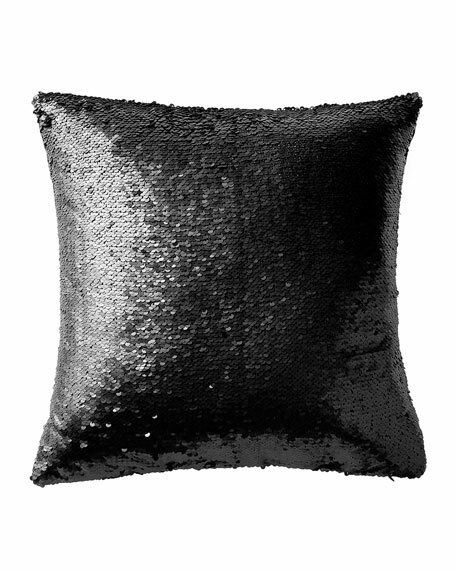 An eye-catching pillow with stunning black sequins. 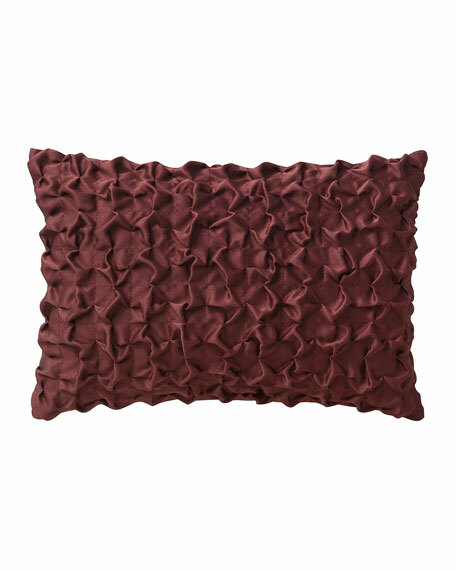 Highline Gabriella Decorative Pillow, 12" x 18"
A beautifully constructed pleating pattern pillow, reversing to a stunning contemporary floral design. 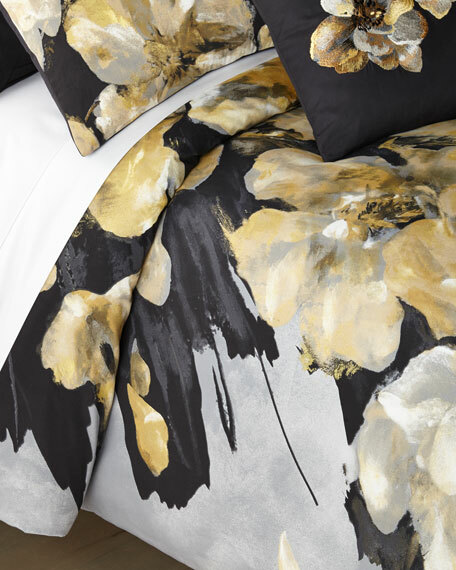 EXCLUSIVELY OURS.Set includes one comforter and two shams. 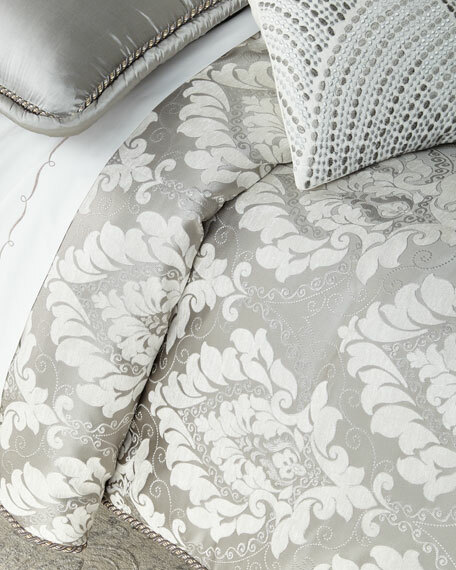 Hand-quilted comforter with solid welt edge. Cotton backing. 0.5" solid mitered flange on shams. Two-piece solid zip back. Comforter: 108" x 95". Polyester/viscose.Dry clean.Made in the USA of imported materials.